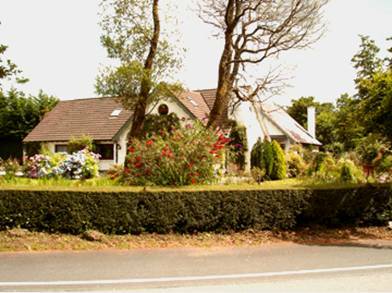 Ross Castle Lodge is a 4 star bed and breakfast set on the edge of Killarney town in alder woods by magical Lough Leane, amidst woodland and lakeshore walks said to be the most beautiful in Killarney. · Guest lounge with multi-channel T.V. From Killarney, follow the Kenmare/Muckross Road out of town passing the Cineplex cinema on the left. 100 yards past the cinema, turn right at the AMBER filling station. Pass Ross Golf club on the left. Ross Castle Lodge is immediately after on the left. 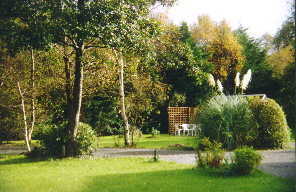 The wishing well at Ross Castle Lodge. People from all over the world have made their wishes here.